“Mattie Celi” by M. Elizabeth Schaefer, is the story of Mattie, a young girl determined to thrive and flourish against all odds. Mattie and her siblings endure the abuse of an alcoholic stepfather and neglect by a mother who is unable to protect them. Mattie is finally removed from the home at age 14, where she begins the revolving cycle in and out of the homes of different foster families. Over the course of the next four years, Mattie lives with five different families, each presenting a different set of trials and experiences that test her and push her limits. Throughout her ordeals, Mattie remains amazingly positive, quickly learning to adapt to each new family situation. She develops the strength and determination to not only survive but also prosper. The last family Mattie lives with gives her the love and care she has always longed for, supporting her self-assurance and confidence, as she develops into an emotionally responsible and thoughtful young woman. Mattie also remains hopeful of reconciliation with her mother and siblings, an idea that plays out more easily in her head than realistically. I found “Mattie Celi” by M. Elizabeth Schaefer to be inspirational and heart-warming. Mattie’s character is realistic and endearing and I was easily drawn to her plights, even though I never personally shared any of her experiences. The author writes with a charming style, pulling the reader into the story with seemingly little effort. Through an entertaining and emotional narrative, the author drives a descriptive awareness of the issues surrounding the foster care system. 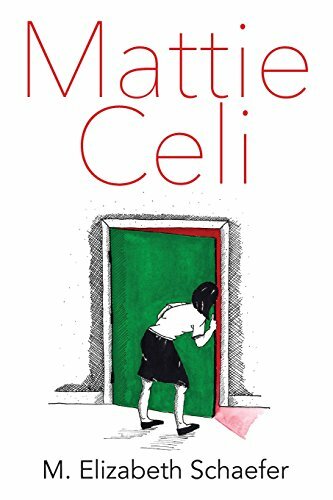 I highly recommend “Mattie Celi” as a fresh, enlightening, contemporary read.